I got my chickens! Six New Hampshire Reds, 8 weeks old. I found a local place to get them so didn't have to worry about shipping day-old chicks in late June heat. Nor did I have to worry about driving over an hour with chickens in the back of the car. They really jump against that box top! We set up the playpen and covered it with the Army woobie for shade. Placed a pan for food and the water jug in there then got to work putting up some fencing around the coop. Once we got the fencing in place around the coop we opened up the playpen and let them come out in their own time. They'd never been outside before but took to it quickly and started pecking at all the plants and dirt. Took about 20 minutes for them to start scratching around. 3. 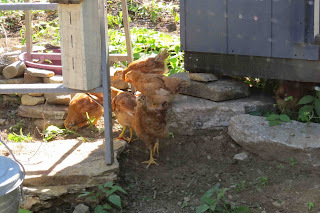 They like it when I'm in the pen - they'll hide under the coop if left alone, but come out and explore if I'm in there. 5. Their sense of balance is awful. They kept rolling over when they tried to lay down in the sun. Not on purpose. They'd show their belly, stretch out a leg, and then Whoops! over they'd go, flapping and panicking to get upright. Cooper is proving to be problematic. We knew she'd be interested - after all, she's an excellent hunter and takes care of pests like chipmunks and rabbits. But we thought she'd calm down after we made it clear the chickens were ours. Nope. She went right through the bird fencing. Fortunately we've trained "leave it" extensively and she backed right off. But if we hadn't been there it would have been ugly. So we put up another layer of fence. 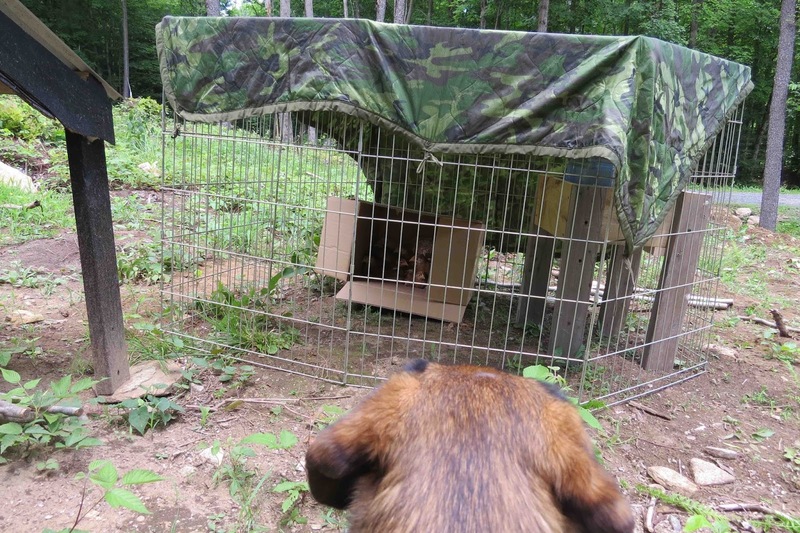 This time welded-wire rather than just screening and that's proven to be effective at keeping her out. 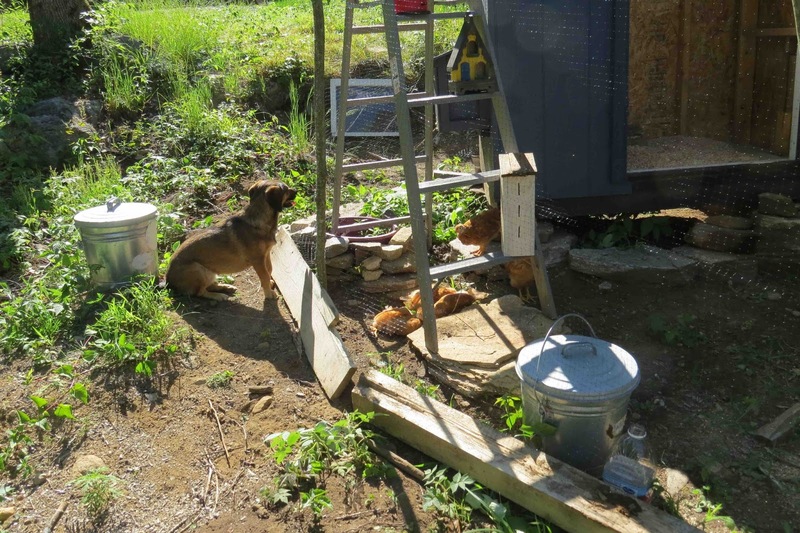 We've also done some intense training and she's catching on that she's not allowed to chase around the fence, charge the fence, or do anything else to the fence (and therefore the chickens). I'm confident she'll get it but I don't think we'll ever be able to fully trust her and we'll be sure to reinforce our permanent fencing. 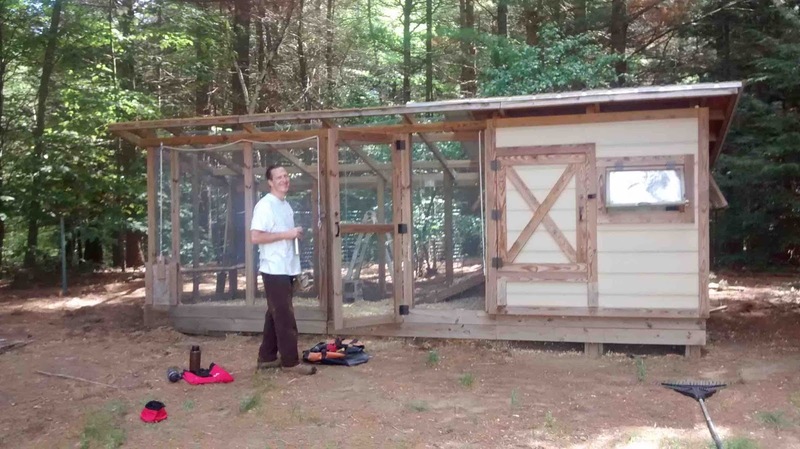 In the meantime, we've also begun work on moving the permanent coop. Took a full day to disassemble the run portion and move it to the property. 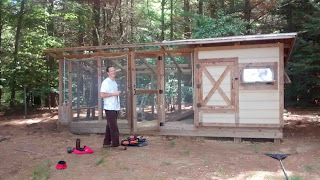 Note that we have not reassembled it yet - that will wait until we get the coop in place. The whole thing is awesome. Very well constructed and since they used screws instead of nails, we didn't have to demo anything to get it apart. We even left the hardware cloth panels on and just rolled the posts together. Whole walls will go up at once. Woo-hoo! 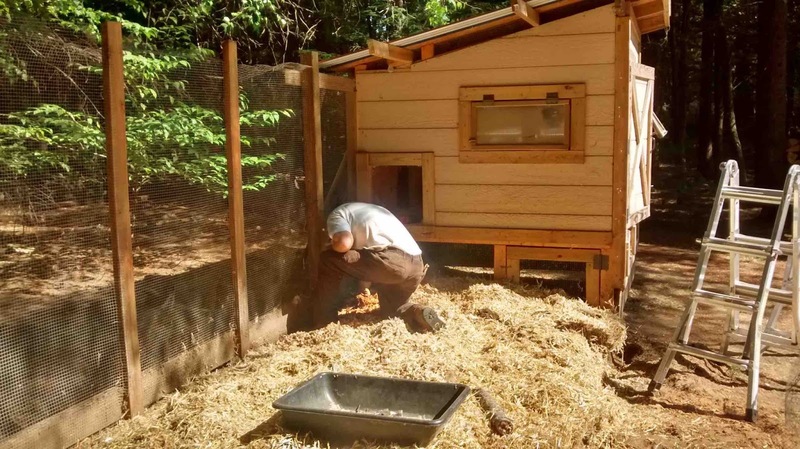 We're hoping to move the coop as a unit rather than in pieces but are trying to coordinate all the folks needed to do so. It may turn out to be faster to pull it apart and then reassemble it at the property. Either way, I expect we'll have it soon! All the falling and flopping is not an accident. They are having a dust bath, something all chickens love. They are entertaining. 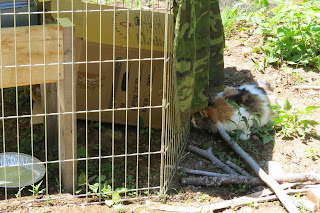 Raccoons could have gotten through the chicken fencing, too. 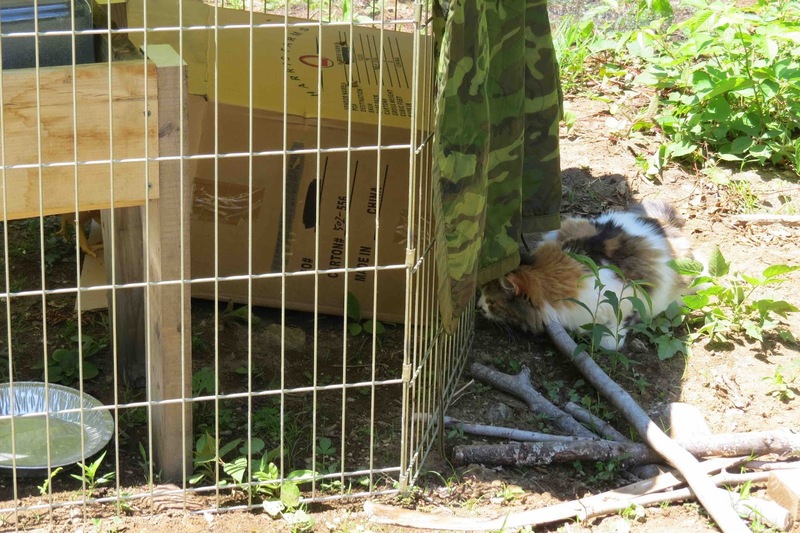 Chicken wire is to keep chickens in, not to keep predators out. Maybe you dog could learn to protect them. Cooper is doing a good job keeping the cat away from them. Apparently she's decided if anyone is going to get a chicken dinner, it's going to be her, no one else.